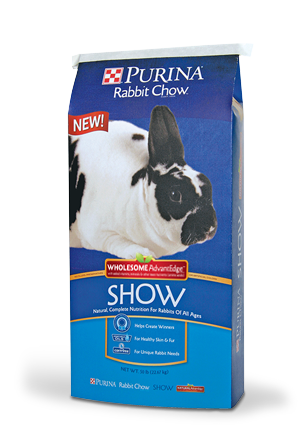 Purina Rabbit Chow Show Wholesome AdvantEdge is completely balanced corn-free diet specially formulated to promote proper development, vibrant fur, reproduction. This food contains added vegetable oils for advanced fur quality and is designed for enthusiasts who raise and show rabbits. We are proud to have partnered with many award-winning rabbit owners.